As you probably already know, summertime is a very busy time for Raleigh real estate agents. That’s when so many home buyers decide to enter the market and begin searching for their home. If you too are planning to purchase a home in the Raleigh area in the upcoming months, then you’ve come to the right real estate source! An appraisal is the valuation of a home by a licensed professional. It is this estimate of value that is particularly important for those who will be taking out a loan on their next home. 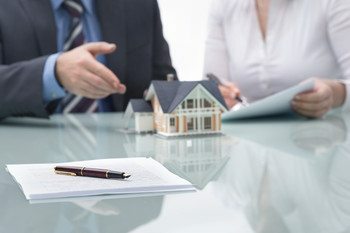 So if you are like the majority of home buyers, you will more than likely end up requesting a loan to finance at least a part of you home purchase. When you ask for that loan, banks reference your home’s appraisal as a way of deciding how much to loan you. That’s why appraisals are so important. Consider this example: Let’s say you offer to purchase a home for $120,000. You plan on financing 100% of the purchase price, so you will need a loan for that amount. However, when the appraisal comes back, for whatever reason, it says the home is worth only $100,000. The bank will only be willing to loan you up to the appraised value, $100,000, and not a penny more. We hope you found the above information helpful as a prospective home buyer. What is even more useful is having a knowledgeable Real Estate Professional with you every step of the way. This is where the Real Estate Experts at Capital City Real Estate Group in Raleigh come in. With EVERY stage of the home buying process, we want you to know that we’ll be there to assist you in order to make the experience as seamless as possible. We keep things moving and worry about all the details – so you don’t have to. Contact us today to learn more about the services we provide and the valuable advice and insight we can offer.